Vic McEwan (AUS) and Clive Parkinson (UK) present and discuss their radical arts interventions in health contexts + BOOK LAUNCH. Part of The Big Anxiety After Dark. Arguably one of the most adventurous and profound arts-health interventions to date, the story of their collaboration on a project at Alder Hey hospital is both intensely moving and inspirational. See Vic McEwan’s immersive soundscapes ‘The Harmonic Oscillator’, and hear how their innovative approach to working in care settings has taken them to many corners of the world, from rural NSW to a hospital in Liverpool UK, and to a remote tank with the longest echo in the world, at Inverness. In addition, Clive’s new book, ‘Critical Care’, which explores Vic’s process will be launched at the festival. Clive Parkinson is the Director of Arts for Health at Manchester Metropolitan University; the UK’s longest established arts and health unit. 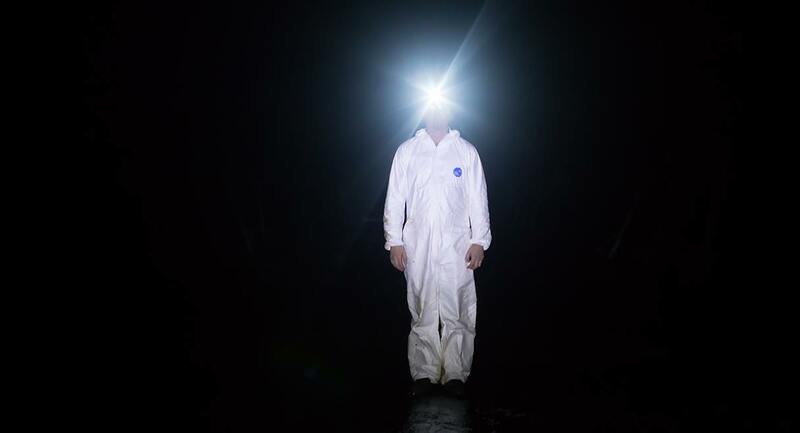 Vic McEwan is an interdisciplinary artist exploring sound, video and installation. He is a producer and director who is interested in landscape, communities, remote spaces and cross artform collaboration. Vic McEwan is the Artistic Director of The Cad Factory, an artist led organisation creating an international program of new, immersive and experimental work guided by authentic exchange, ethical principles, people and place. Vic’s practice works with sound, video, installation and performance with a particular interest in site-specific work. He is interested in creating new dynamics by working with diverse partners and exploring difficult themes within the lived experience of communities and localities. Vic was the recipient of the Inaugural Arts NSW Regional Fellowship 2014/15. He sits on the NSW/ACT Arts/Health State Leadership Group and is a board member of Music NSW. Clive Parkinson is the Director of Arts for Health at Manchester Metropolitan University, a specialist research unit that explores the relationship between creativity, culture, the arts and health. He is Reader in Arts, Health & Social Justice at the Manchester School of Art and a founding member of the National Alliance for Arts, Health and Wellbeing. He is currently involved in research around dementia and recovery from substance misuse, and is in a long-term collaboration with partners in Lithuania.